This stew is so good with it's rich, herby wine broth and hearty veggies. Goes perfectly with a mixed greens salad and cashew bread. 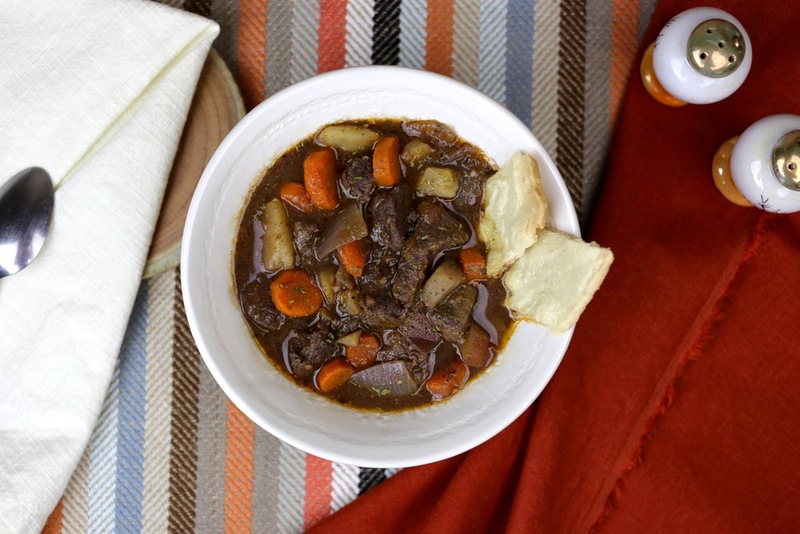 Now, heads-up: I break my slow cooker rule with this recipe, but it's worth it. In my opinion, slow cookers should normally be used for three-step-cooking: chop, dump and cook. Right? We use them for ease. But this time I went ahead and added a few more steps. Nothing complicated, and definitely worth the extra time and effort. Enjoy!